Ashley Darkenwald equips and empowers individuals by providing the consulting and resources necessary to develop healthy small groups focused on nutrition, fitness, and faith. Are you passionate about helping your community live an abundant life? You can guide groups and individuals through Living Wellness for Growth Groups, an 8-week study concentrated on living a healthy lifestyle. Each week of the study includes a unique component to empower participants to become the very best version of themselves. What does the Living Wellness Study entail? 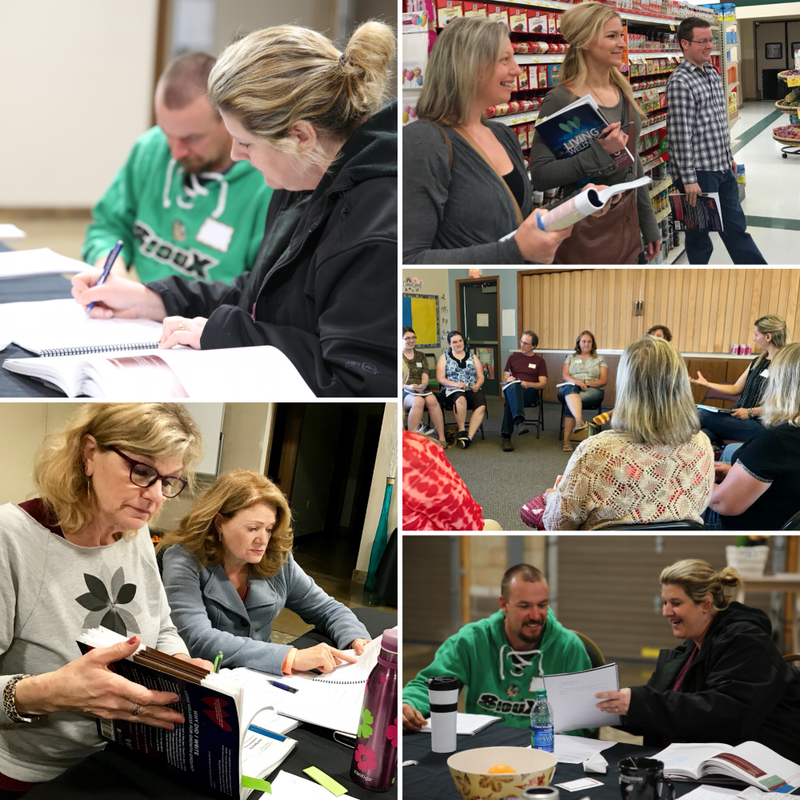 Living Wellness for Growth Groups is a comprehensive, week-by-week study that includes group discussion, mindful eating, goal setting, hands-on practice, journaling, daily videos, stretching and exercise, a grocery-store tour, and accountability. A facilitator leads the study, and the participants take part by way of a Growth Group. Living Wellness offers a new approach to achieving a healthy balance of one’s mind, body, and spirit through a study that operates with a focus on faith, encouragement, accountability, and support. Living Wellness Growth Groups are gatherings of individuals or small groups, led by a certified facilitator, that study and work through our 8-week study focused on nutrition, fitness, and faith. A Growth Group is a safe space where participants can come to discuss and learn about the health of their whole body, mind, and spirit. What will I gain from participating in a growth group? Who can lead a Growth Group? Anyone can lead a Growth Group, so long as they have a passion and desire to encourage others in life-changing health and wellness decisions. Small group leaders, fitness professionals, personal trainers, or anyone with a passion to facilitate, we welcome a wide variety of facilitator hopefuls to lead a group. Contact Ashley to get more information. No matter where you are in your journey, your health plays a major role in your ability to live out your life to its fullest potential. With Living Wellness, you can go from fitness to wellness, from nutrition to wholeness, and from health to abundant life.